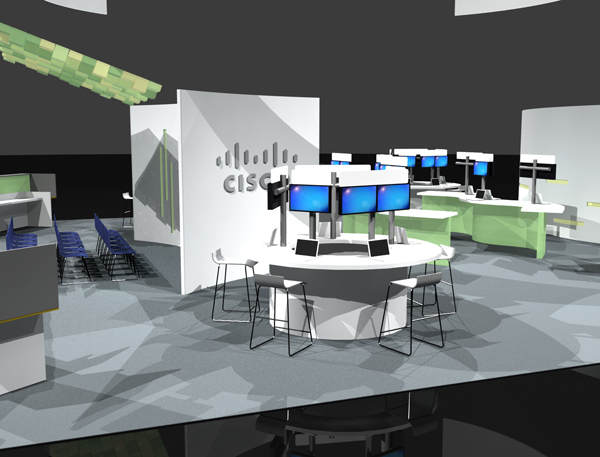 50’x60’ Cisco Booth redesign for Interop Conference in Las Vegas. 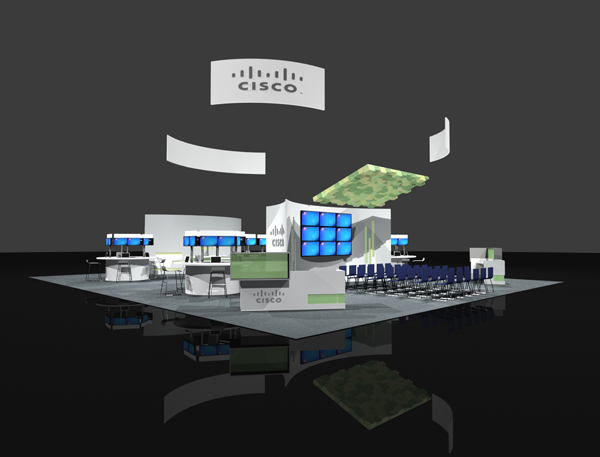 The strategy was to take their identity and brand colors to attract show attendees to their booth. Heavy use of colored lighting is implemented to help them stand out in the busy show halls.